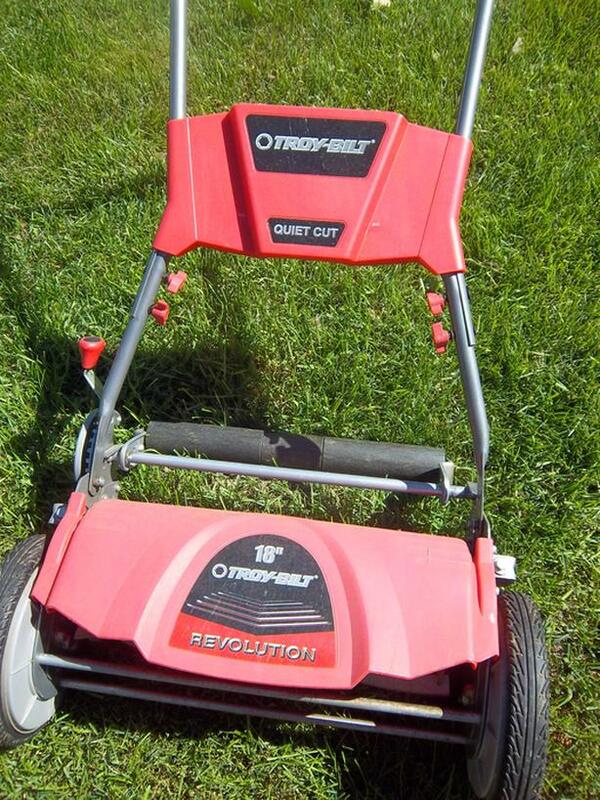 Troy-Bilt Revolution Silent Reel Lawnmower for sale. Cuts 18 inches wide. 5 blade reel, one touch height adjustment from 1 to 3 inches (2.5 cm 7.6 cm). Only $75. We are located in Orleans. See our list of other items for sale. First come, first served.